Bhí Rang 1 ag foghlaim faoin Artach agus an tAntartach. Rinne muid tionscnamh i ngrúpaí sa rang. Phéinteáil muid na Soilsí Tuisceartach i rith na seachtaine agus breathnaíonn siad go hálainn ar chrochadh sa seomra ranga. Rang 1 were learning about the Arctic and the Antarctic. 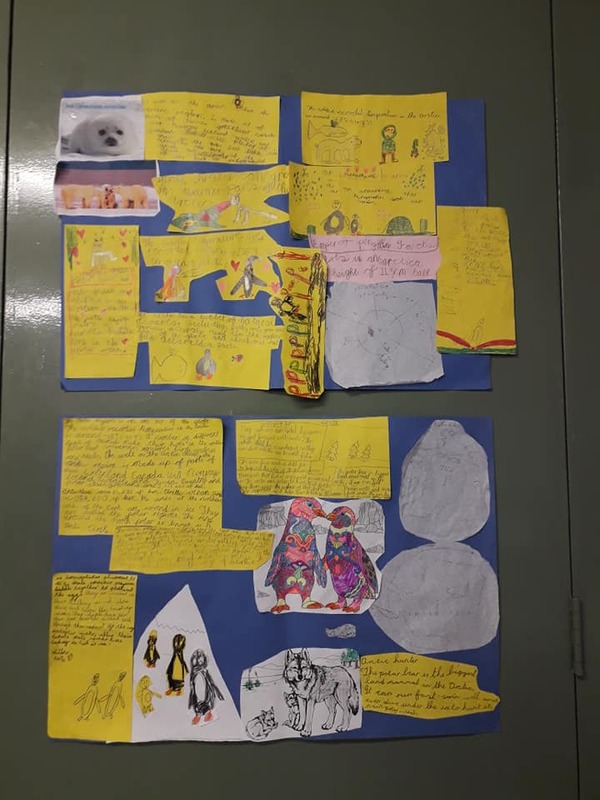 We did projects in groups in the class. 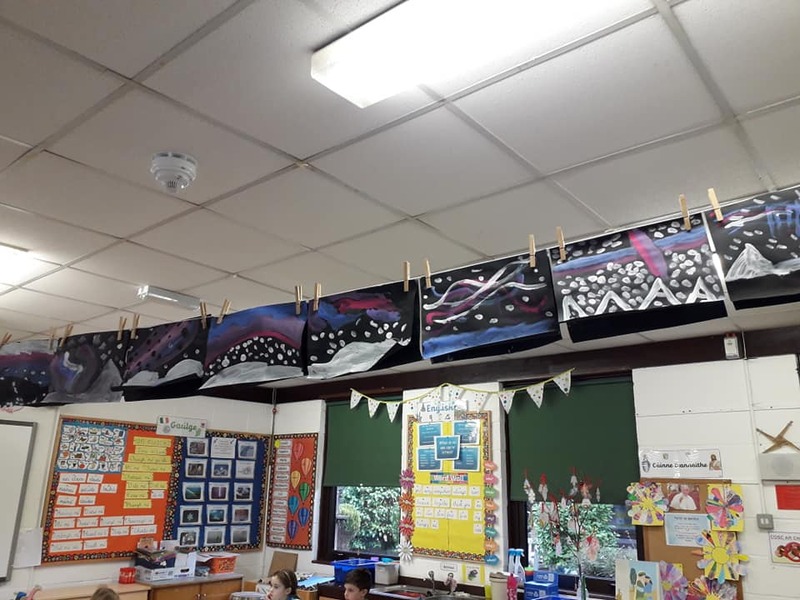 We also painted pictures of the Northern Lights during the week and they look lovely hanging in the classroom.